The core of Trail Dynamics strength is our experienced, dedicated full time staff. Our past experiences prior to joining TD includes careers as engineers, foresters, outdoor recreation specialists, educators, land managers, volunteer coordinators, equipment operators, landscapers, and trail volunteers. We are now professional trail builders, equipment operators, carpenters, hand laborers, masons, bookkeepers, marketing professionals, but also mountain bikers, hikers, trail runners, backpackers, paddlers, rock climbers, waterfall viewers, leaf peepers, parents, and adventurers. We understand trails coming and going, as users and as builders. 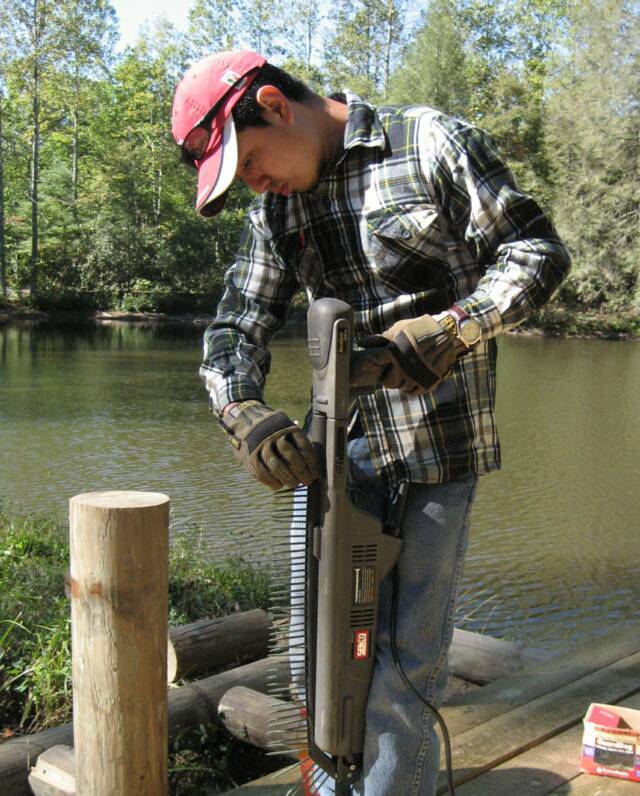 Collectively, the TD staff represents to largest and most skilled of any trail contractor in the US. 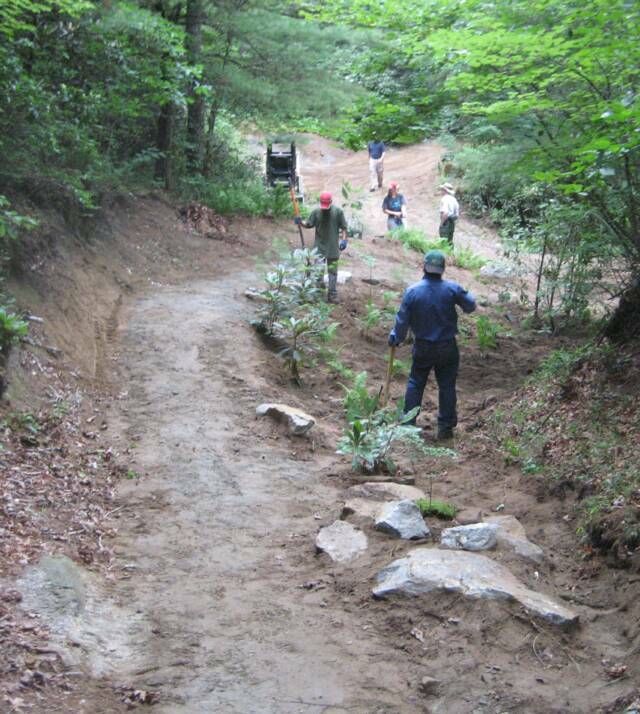 Our staff has performed trail work or provided trail related services in over 20 states and 3 foriegn countries (and growing). Our experience is extensive, and we have completed many successful projects small and large. Our reputation is that of legacy trails enjoyed immensely by trail users, while providing land managers with sustainable facilities with low maintenance needs and good risk management strategies. Our product is best described as linear art. Ed holds a degree in forestry and has worked in that field and landscaping for over 20 years before forming Trail Dynamics, Ed is President. Plus over-sees all Trail Dynamics construction projects. 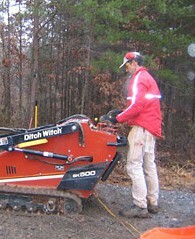 Regarding trail work, Ed is a jack-of-all-trades (and master of all) and can do anything well. He loves rock work and building with wood, but can also run the Sweco and other TD machines with masterful skill. Generally regarded as one of the best builders in the US, Ed has developed that reputation through hard work and many successful completed projects. Ed is an avid mountain biker and can be found riding more difficult trails with friends or with his family including his Rudy who has been riding since age 4. Hector “Elvis” joined the Trail Dynamics team in 2005 along with his brother Ezequiel “EZ” . EZ has moved back to Mexico (we miss him) but Hector is still a valuable member of the TD team. Hectors background includes extensive landscaping and stone masonry work in the US and back in his home country of Mexico. 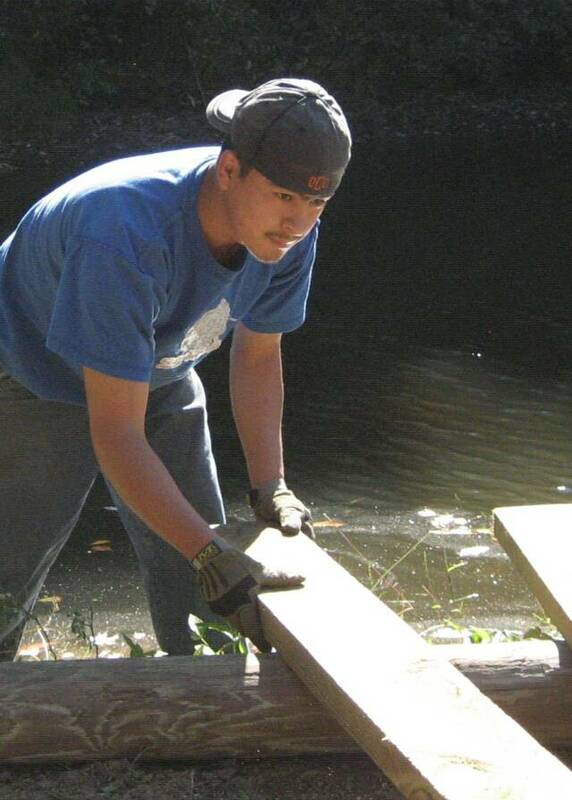 This experience in landscaping gave Hector a great head start on trail finishing work and the finished product he leaves behind is nothing short of polished. Though he had limited equipment experience, Hector has learned from other TD team members and now is an extremely competent machine operator. In addition to being a great trail builder, Hector is always cheerful and fun to be around. Marco joined the Trail Dynamics team in 2006 following in Hectors (his cousin) footsteps. Marco came to TD with an extensive background in landscaping and continued to put those skills to work in the trail building world. 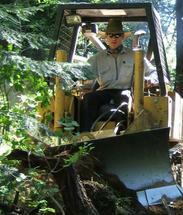 Marco loves all aspects of trail construction: rock work, finish work, small machine operation, working with wood, etc. There is little that Marco can not do. His main recreational trail interest is mountain biking and he loves to ride in the woods and on trails he has helped to build. Chuck has a degree in Mechanical Engineering. In 2006, after 30+ years of industrial experience, he resigned from his engineering job and joined TD. 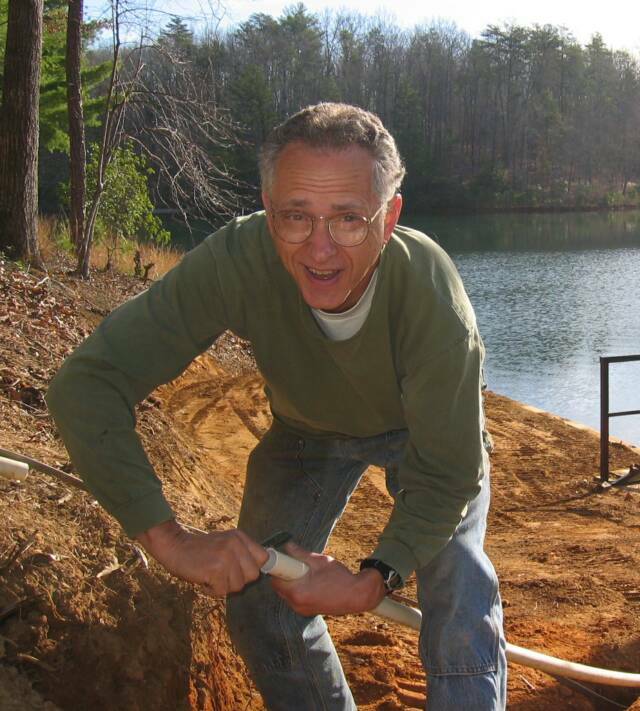 Chuck has been leading volunteer trail maintenance crews on the Pisgah District and in DuPont State Forest for two decades. In addition to serving in a trail planning and design role on our staff, he is also the go to guy when we have machine troubles. Don’t let his exhaustive collection of slide rules lure you into labeling Chuck wrong, he can build trail with the best of them. Trails have been an important part of Chuck's life since childhood. Recreational interests include hiking, mountain biking, backpacking, and wilderness canoe tripping. “Water” Bob is the newest member of the Trail Dynamics team having joined in 2009. He is not however new to trails and digging in the dirt, in fact he has been doing that most of his life. After graduating from High School, Bob followed in his father’s footsteps and joined the Air Force. After serving his country for 5 years, he turned his attention to digging in the dirt and a career in the pool installation business where he has worked for over 25 years. This time spent gave Bob great experience that translates well into trail building: equipment operation, grading and excavation work, managing crews, site management, erosion control and more. Bob got hooked on mountain biking and trail building followed suit shortly after. His work before joining the TD includes some of the favorite trails in the Charlotte Piedmont area, but his most notable is the Itusi trail system at Lake Norman State Park. When he is not working on trails or riding his, Bob can be found spending quality time with his wife and 3 lovely daughters.